It may be recalled that from our childhood we have been observing our mother and other ladies in the neighbor hood observing fast of MATA Ahoi Ashtami from dawn to dusk for the well being of the sons. Now in the present times as the number of children are less on account of nuclear families as well as economics of growing a child , mothers ,married sisters ,daughters as well daughter in laws having children are keeping fast for the children. Similar to Karwa Chauth this festival is also observed in Northern India. The lady members have food in the morning before sun rise and do not take even a drop of water during the day. In the evening after hearing the story of Mata Ahoi along with other ladies in the house or in the street or colony and seeing the stars in the sky break the fast. Some ladies who had some vow for fulfillment of their wishes break the fast after seeing the MOON. On this day sighting of moon is very late and the ladies have a very tough time. As per the legend there was a women having seven sons and living in a village. Before Deepawali they decided to refurbish their house by a mud/soil to be brought from the nearby forest. While taking out soil from the ground with the help of an axe a CUB died unknowingly. In the time to come she lost all her sons within a span of one year. On telling the story how a cub got killed an elderly lady from the village advised her to to Ahoi Mata on Ahoi Ashtmi. The lady painted the picture of the cub on the wall along with Ahoi Mata and observed the fast for a number of years. One by one she got all the seven sons and the life came to normal for the family. From there onwards ladies having sons started observing this fast . The NATURAL world is giving me opportunity to observe the behavior of the mother and the chick in the wild. 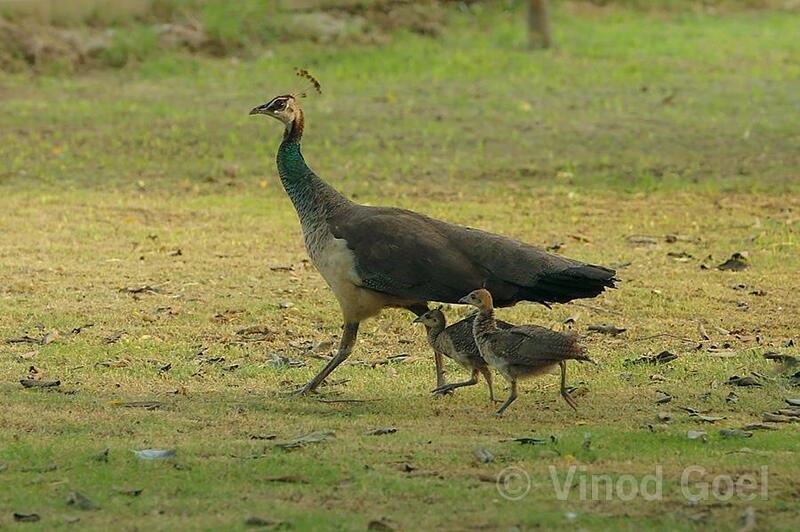 I am following a family of peahen with 2 small peechicks for a while. 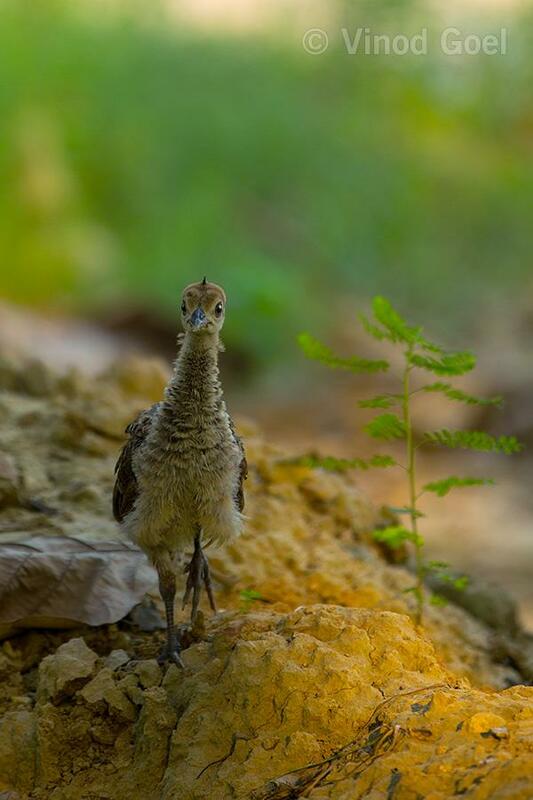 Recently when I heard the distress call of the peahen from the top of the branch of a tree I got alerted. Then I observed a pair of dogs in the under growth. The call continued for a long time. Next day I could see only one chick . One of them became victim of the dog. Next day again I heard the same distress call . 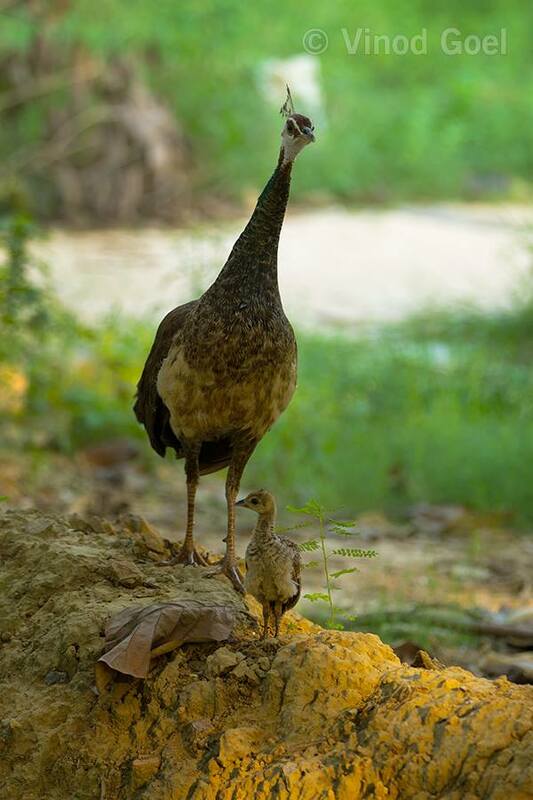 The chick had lost his way in following the mother. When she could not locate the chick she got worried and gave the call. On not finding the chick she flew on a tree to see the chick in the undergrowth . She again called. 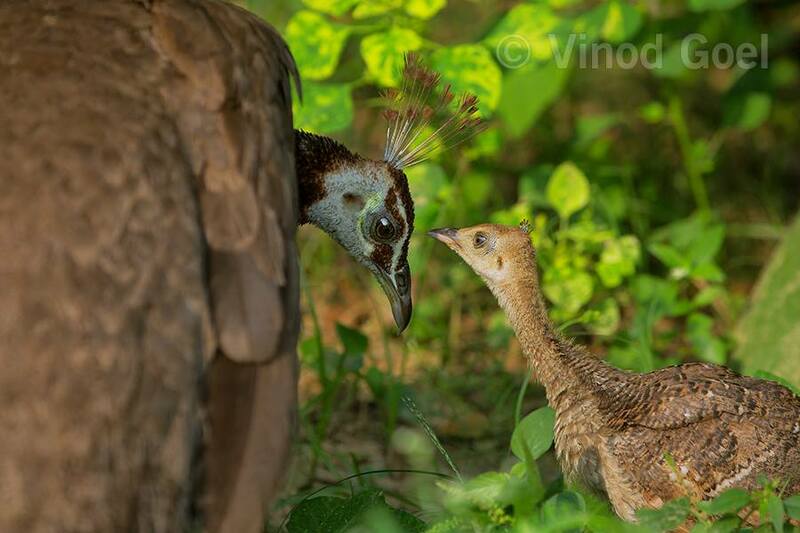 After some time the chick on hearing the sound of his mother flew to the branch and showed her affection to the mother. That was really touching seen for me. One can not forget the union of the chick with her mother. The chief deity is Mata Ahoi . …. form of Ma Durga. The Ahoi Asthmi is also known as Krishnashtmi as it falls on 8th day in Kartik month. Women having difficulties in conceiving , miscarriage or who do not have a child also perform pooja on this day. The childless couple take a holy dip at Radha Kund in Mathura to get the blessings . For observing the festivity a painting of Ahoi Mata is made on the wall in the Puja room with red color (called GERU ). The names of the male members are written along with the symbols of Sun , Moon and Basil. But now a days a ready made photograph is available in the market and the same is placed /pasted in the prayer room. An earthen pot with water is placed on the left side of the picture .Some chestnut (Singhara ) are also placed along with some fruits and sweets. It is also believed that a women should end fast by drinking water by her child . The pleasant weather having some chill at this time of the year adds value to the festivity.